The induction ceremony for new members of the National Honor Society was held Wednesday, January 24, 2018 at the Cottage Hill Christian Academy West Campus. Sixteen new members were inducted in the National Honor Society this year. 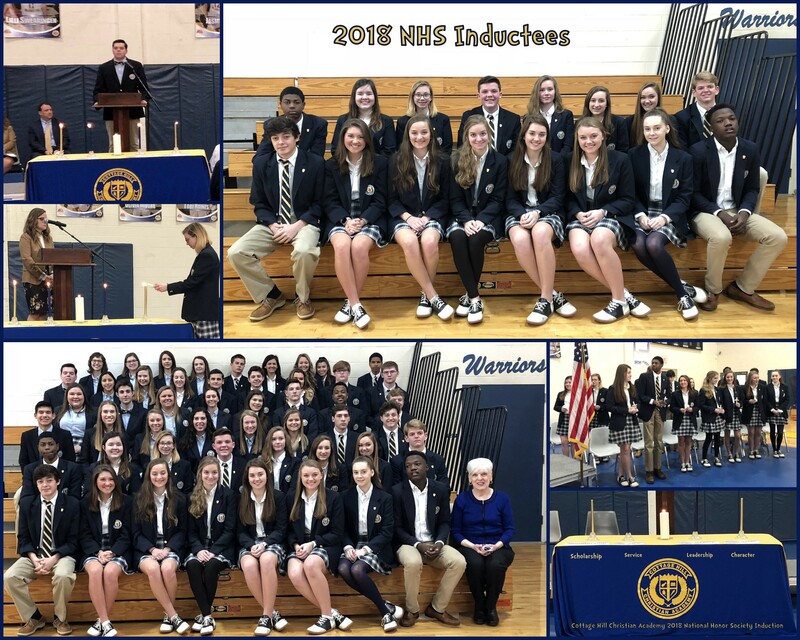 The new inductees are as follows: James Sherrod, Carleigh White, Eliza Carpenter, Hannah Barbour, Elizabeth Bryson, Anne Morgan Swearingen, Allison Boudreaux, Rasean Thomas, Khaliel Perkins, Mya Nichols, Katelyn Johnson, Ryan Maples, Joyce Renauld, Alison Lindsey, Morgan Capps, and William Barbour. Parents, relatives, and friends celebrated the accomplishments of the newly inducted members. A reception for the inductees and their families followed in the Atrium.